There are plenty of ways to pay off the mortgage early, which I’ve already highlighted here, but I wanted to add another I recently stumbled upon. A few months back I applied for two Citi credit cards to take advantage of the 50,000 ThankYou Points (TYP) both were offering for some relatively simple spending. Before long, I had well over 100,000 TYP but no real plans to use them. I figured I’d transfer them to an airline’s frequent flyer program and take a nice trip somewhere, maybe even splurge on first class. But plans changed and I began researching other ways to take advantage of all my points. I quickly discovered that using the points for a statement credit wasn’t the best value as you only receive 0.75 cents per point for certain transactions. There’s also a cash reward that gives you an even worse valuation of .50 cents per point, meaning 100,000 TYP would only yield $500. Citi also offers the typical stuff like gift cards and shopping options, but I didn’t feel like buying anything. I wanted to get good value out of all those points since I wouldn’t be using them for a transatlantic flight. While at Citi’s ThankYou.com page, I began searching around using the little search feature on their website. I looked up cash back and saw the weak half point per dollar redemption option. I saw the statement credit option for certain purchases that was slightly better. I checked out the stuff they were selling and quickly determined I didn’t need a new Espresso machine. In a nutshell, Citi allows cardholders to use TYP toward their monthly mortgage payment via a check made out to your mortgage lender. And they give you a 1:1 ratio when redeeming TYP for this purpose. So my 100,000 TYP would be worth a very respectable $1,000 off my mortgage balance. The caveat obviously is that you need to apply the $1,000 (or whatever amount you choose) toward your mortgage balance. 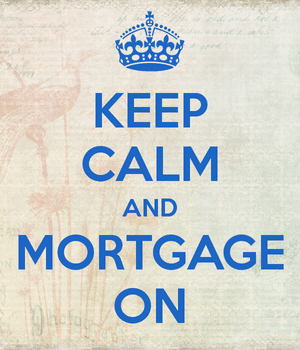 And not everyone wants to pay off their mortgage ahead of schedule. 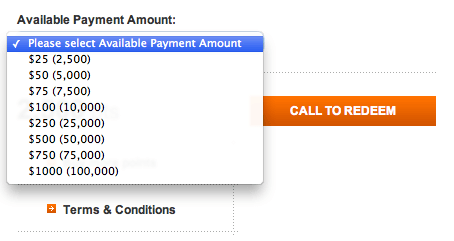 Another thing is this redemption option is only available by phone. You actually have to call the Citi ThankYou Service Center (1-800-842-6596) to redeem your points for a mortgage reward. Tip: You have to pick a set number of TYP, such as 2,500, 10,000, etc., as seen in the award chart above. Make sure the phone rep gets the ratio right (they almost messed mine up). One slightly annoying aspect to this redemption option is the fact that you can’t do it yourself, nor can you do it online. You have to call Citi. So be prepared to speak to a human. Once you make that grueling call, you’ll simply let the representative know that you’d like to redeem your TYP for a Mortgage Payment Reward. They’ll then ask how many Citi points you want to redeem, and probably ask if your bank will accept partial mortgage payment checks. Most mortgage lenders probably don’t accept partial payments but if you indicate it’s for a payment to principal on top of your regular monthly payment it shouldn’t be an issue. Just speak to your lender first. But that may not even matter because Citi lets you make out the check to any bank of your choosing for this purpose. So you can get the mortgage reward made out to the bank where you do your checking and cash it there, then send the money off to your mortgage lender later on your own. This may actually be the safer move to avoid any confusion with your home loan, which is generally not something you want to toy around with. Citi even notes in its terms that it’s your responsibility to send the money to your respective financial lending institution for monthly mortgage loan repayment. They don’t actually follow up once the check is cut and sent to you. In other words, you can just have them make out a check to whatever bank you do your everyday banking with and then deposit it in your bank account like a normal check. The only difference with these checks is that they’ll be made out to your bank (that you specify) and not you personally. For this reason, you are told to put your associated bank account number on the memo line when cashing it to ensure it winds up in the right place. I’ve personally done this and it worked just fine. I used mobile deposit instead of going in to the bank because some tellers may get confused when depositing a check made out to a bank. You can also ask Citi to make the check out to another person’s bank because it just lists the name of the bank on the check, not anyone’s name. So an individual could redeem their points for a check made out to their spouse’s bank where a mortgage is held. As for people telling you it’s not the best redemption value, think about the actual savings of a $1,000 mortgage prepayment. On a hypothetical $200,000 mortgage, a $1,000 extra payment early on would reduce the amount of interest by nearly $2,300, thereby more than doubling the value of those points if you held the mortgage to term. Tip: Remember, it’s not wise to apply for a credit card right before applying for a mortgage because it can lower your credit score and cause other potential hiccups. That’s a pretty interesting way to pay down a mortgage. Haven’t seen a credit card award company do this before. For the record, you can apply cash back from other cards to your mortgage the same way, Citi just has a specific mortgage application unlike other issuers.